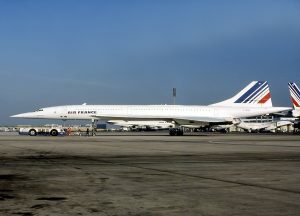 The creation and nearly 30-year operational life of the French/Anglo Concorde, the world’s first operational supersonic airliner, is a rich history of cross-border cooperation and innovation at a time long before the personal computer revolution or the first cell phone. In fact, the origins of the first supersonic transport (SST) date back to before the election of President John F. Kennedy in 1960. 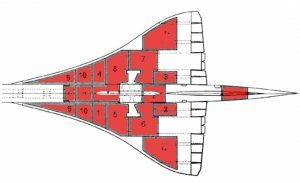 However, the end of the Concorde is indelibly etched into the memory of millions of people as a single photo of Air France flight 4590, its left delta wing ablaze, attempting to liftoff at a perilously steep angle of attack from Paris Charles de Gaulle Airport (CDG) on July 25, 2000. Staggering no more than a few hundred feet above the ground, flight 4590 crashed 90 seconds after it began its takeoff roll on runway 26 Right. This was the first and only fatal Concorde accident. The Concorde ran over a piece of metal on the runway left behind by a McDonnell-Douglas DC-10 that had departed earlier from the runway 26 Right. That metal sliced though a tire on the SST sending a piece of hi-speed rubber into the wing that sliced open a fuel tank, spewing fuel that quickly ignited. At least this is the story as most of us heard it. Just a few of the issues Hutchinson uncovered include a problem with the left main landing gear long before takeoff, a crewmember who was not technically qualified to be sitting in the Concorde’s right seat, a captain who overloaded the aircraft with fuel and bags, a center of gravity that exceeded the rear limits, a runway at CDG that was under repair and a captain who pulled the airplane off the ground before it ever reached flying speed. Although the aircraft became airborne for a short few seconds, there were two additional near disasters lurking, Hutchinson said, before the airplane eventually stuck a hotel west of CDG killing 113 people. The podcast is a fascinating update of the final flight of Air France 4590 that runs about 37-minutes. Listen to the podcast here. BTW, if you enjoyed this story, why not share it with a friend and consider subscribing … it’s free. This entry was posted on Thursday, January 17th, 2019 at 3:44 pm	and is filed under airline safety, Airlines, The Buzz. You can follow any responses to this entry through the RSS 2.0 feed. You can leave a response, or trackback from your own site.